So If I use the channel management feature on MYVR to integrate booking.com I see there is a 1.49% fee. Is this the Stripes processing fee, or is it in addition to the processing fee charged by Stripes? The 1.49% fee is the MyVR channel management fee. The fee supports direct integration with the channel. You pay a 1.49% fee per booking on the net host payout for those reservations accepted through your MyVR-managed Booking.com listings. This is invoiced at the end of each month. You can view invoices from Settings > Billing > Invoices. The Stripe fee is for merchant processing. 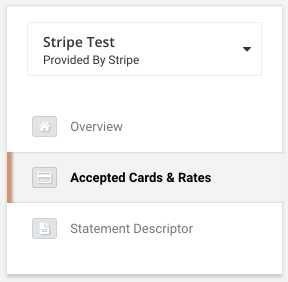 You can view your Stripe merchant processing rates in Setup > Booking & Payments > Merchant Accounts > click the account name > Accepted Cards & Rates.